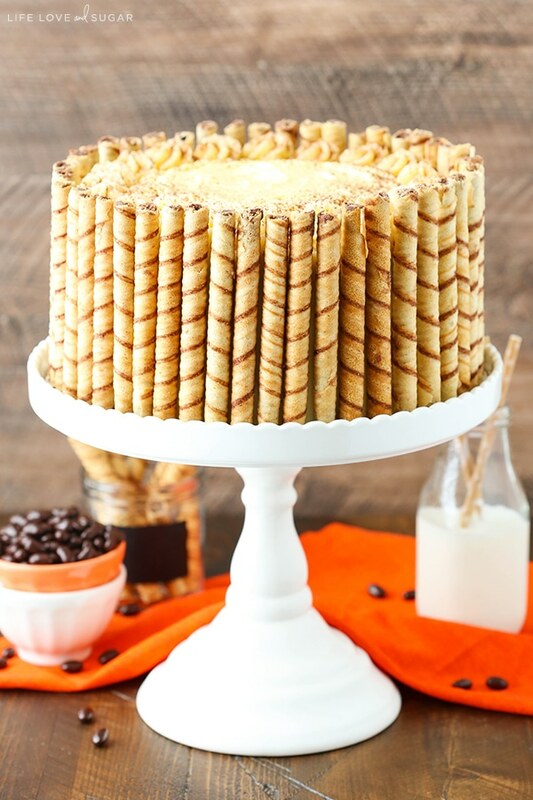 There is no doubt about it – this Pumpkin Tiramisu Layer Cake is my new favorite cake for this Fall! 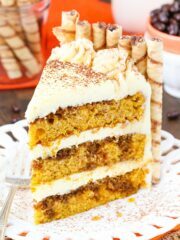 With layers of moist pumpkin cake, Kahlua and espresso, tiramisu filling and a mascarpone frosting, it is to die for! Yay for pumpkin! 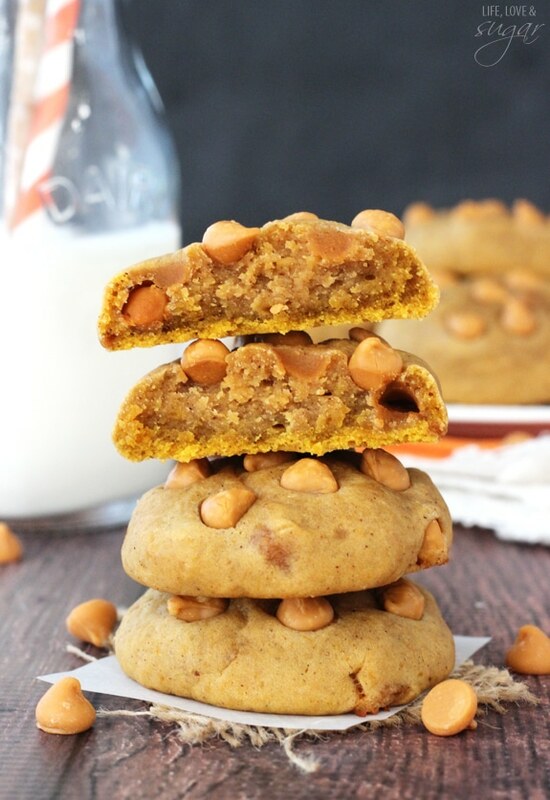 I am so excited to be sharing my first pumpkin recipe of the season with you. 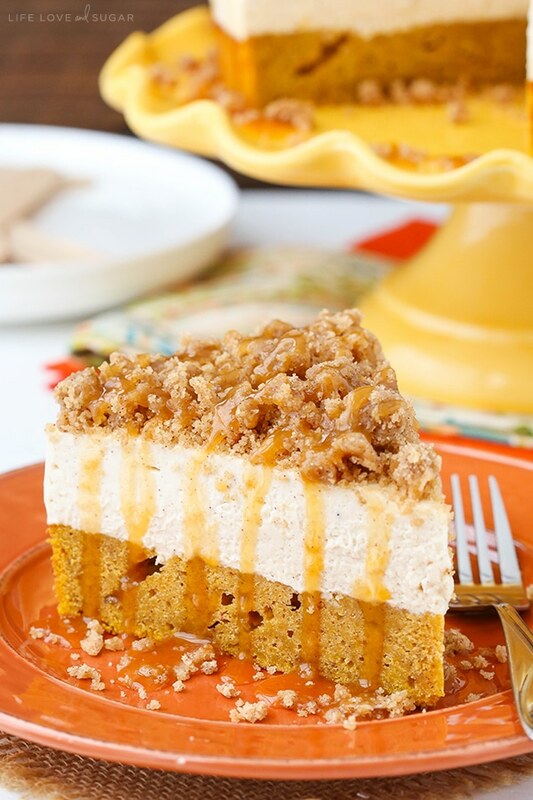 There are few things I get more excited about than a good pumpkin dessert. This cake does not disappoint. 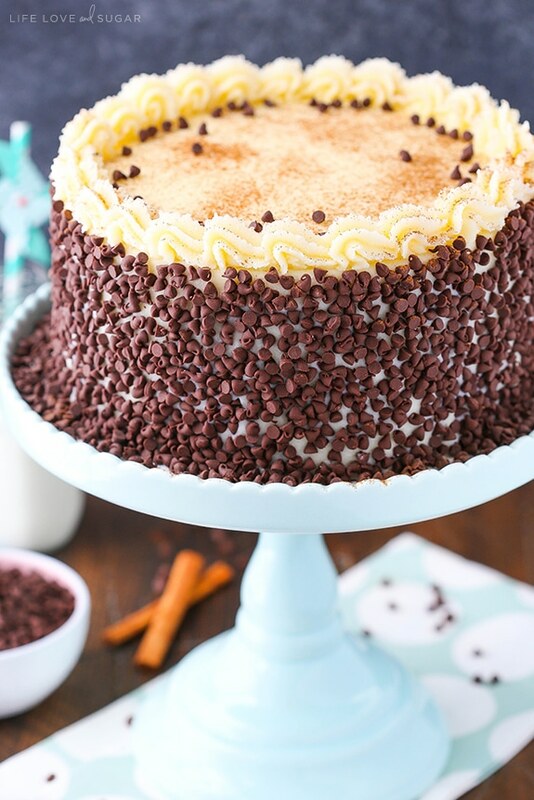 Both layered cakes and tiramisu are desserts that are fit for a special occasion or great meal, so when combined in this cake, I almost died. So good! 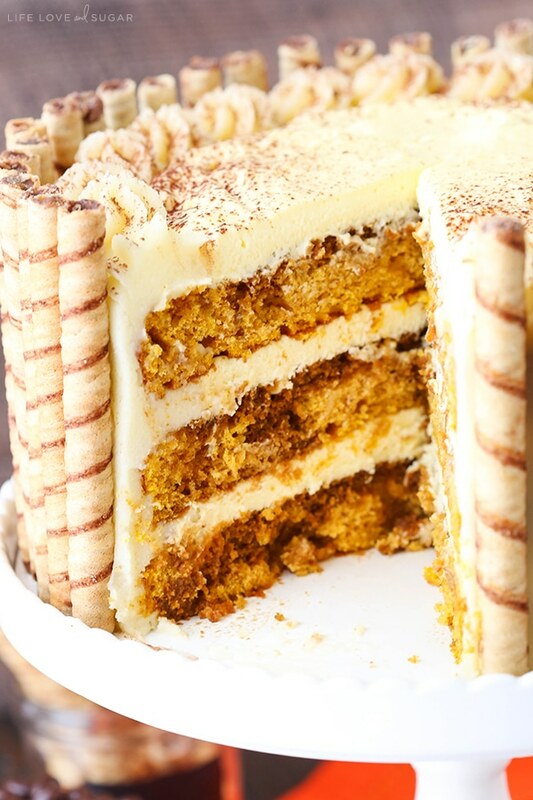 To start, the pumpkin cake layers. This cake is so moist and wonderfully fluffy. The pumpkin adds so much moisture. It’s fairly straight forward to make, just be sure to fully cream the butter and sugar. 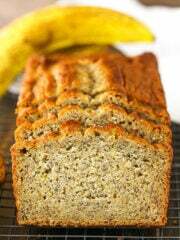 It adds air to the batter that’s important in making the cakes nice and fluffy. 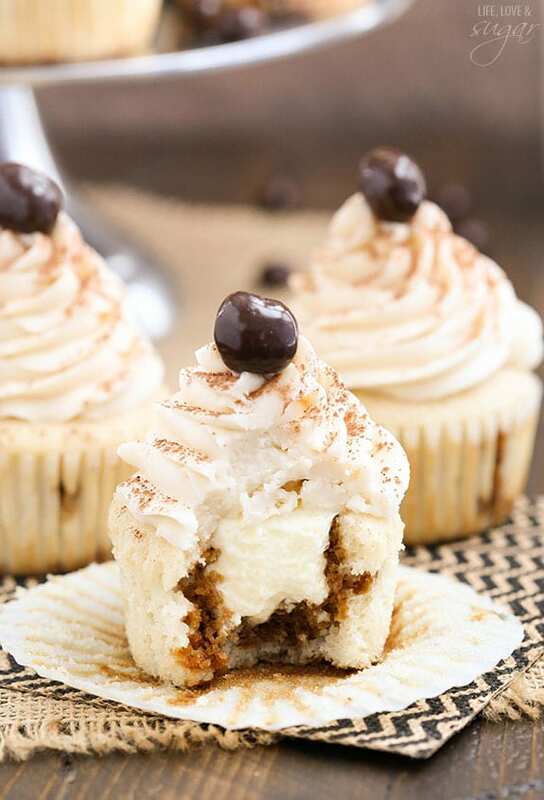 The filling is a traditional tiramisu filling and it is so darn good. 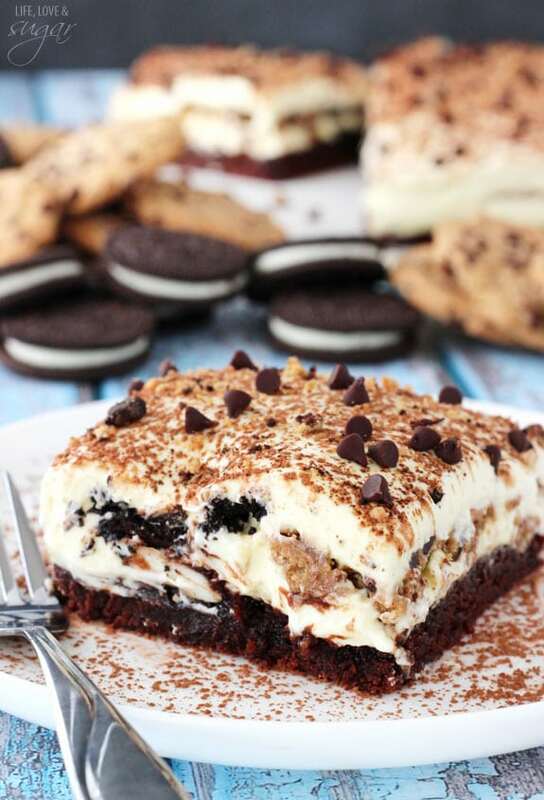 Let me tell you – I wasn’t a big fan of tiramisu until I’d had it homemade. Store-bought and restaurant versions just never did it for me. 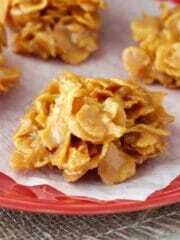 This filling is so good I could eat it with a spoon. And while it may seem intimidating, it’s really not hard. To start, you’ll combine egg yolks and sugar in a double boiler. I actually use my mixer bowl and put it over a pot of simmering water, but use whichever you have handy. The steam from the water slowly cooks the eggs without giving you scrambled eggs, so make sure not to heat the water too much or it’ll cook the eggs too quickly. You’ll want to cook the egg mixture for about 7-10 minutes. The best way to tell if it’s done is to use a food thermometer. It’s done at 155°F (68°C). Once the egg mixture is done, you’ll whip the egg yolks until they thicken and pale in color a bit. Next is adding the mascarpone cheese (love that stuff!) and whipped cream. It seriously is the most heavenly combination of ingredients. Serious willpower is needed to not just eat it all. The frosting is a mascarpone frosting. Like I said, I love mascarpone. 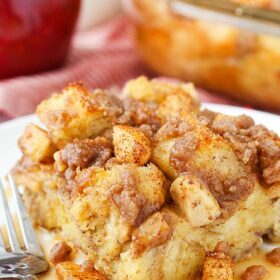 It’s lightly sweet and does such a great job of balancing everything. Mascarpone can be fairly soft at room temperature and will water down and not be salvageable if over mixed, so do be careful with it. Mix the frosting at low speed and when adding it to the cake, it’s best to have it somewhat cool so that it isn’t too soft. The final (but super important) addition is the kahlua and espresso mixture. The best! If you don’t have an aversion to alcohol, I definitely recommend keeping in the kahlua. You could replace it with additional water and espresso, but it seriously just gives that extra bit of awesome to every bite. Worth every drop! When everything is layered together, you’ll use some of the mascarpone frosting to pipe a dam around the outside of the cake layers. Because the filling is relatively soft, you’ll want the mascarpone frosting to help hold it in place. You can see what it all looks like in the video below. To finish off the cake, I piped some swirls around the top, added a sprinkle of cocoa and then pressed cookie sticks onto the sides. 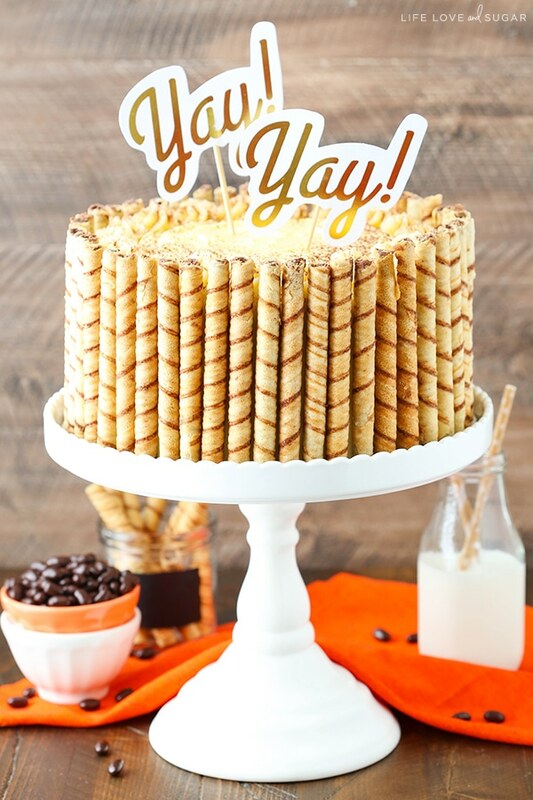 You could totally change this up and leave off the cookie sticks, but I thought it was a fun change to some of my other layer cakes. You guys this cake is amazing! One of my favorites! It was a huge hit with everyone who tried it and I’m telling you – there were lots of diets broken the day I shared this cake in the office. 🙂 The sign of a good one! This Pumpkin Tiramisu Layer Cake is to die for! 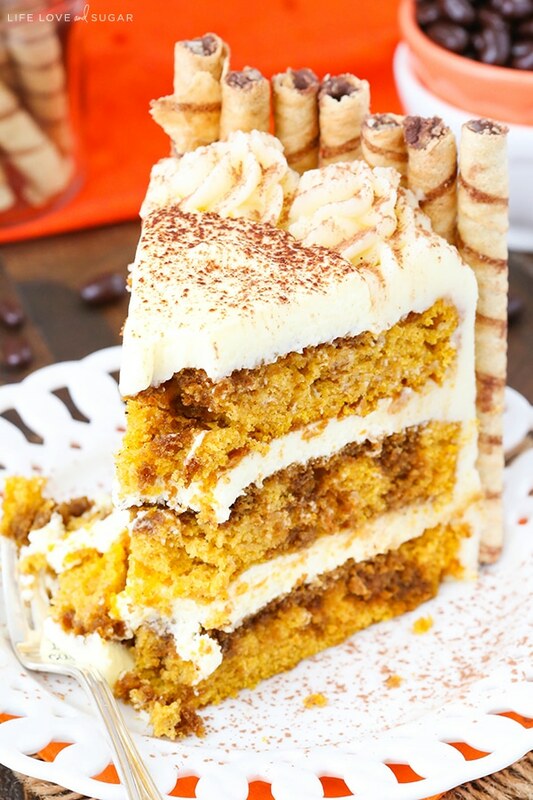 Layers of moist pumpkin cake, Kahlua and espresso, then a tiramisu filling and a mascarpone frosting. 1. Combine the egg yolks and sugar in the top of a double boiler. If you don’t have a double boiler, you can use a mixing bowl set over a pot with simmering water in it. I use my mixer bowl. Do not let the water boil, or it will be too hot. To ensure that the steam cooking the eggs doesn’t get too hot, occasionally lift the bowl to release the steam. 2. Cook for about 7-10 minutes whisking constantly with heat on low, until mixture is light in color and sugar is dissolved. The temperature of the mixture should reach about 155°F (68°C). If mixture starts to get too thick and a darker yellow, it’s overcooked. 3. When done, whip egg yolks with a mixer until they thicken and lighten a bit to a pale yellow. 4. Add the mascarpone cheese to a medium sized bowl, then add about 1/3 of the yolks to the mascarpone cheese and carefully fold them together. Add the remaining egg yolks and gently fold into the cheese mixture until combined, being careful not to deflate the yolks or over mix the mascarpone cheese. When mascarpone cheese is over mixed, it can start to separate. 5. Add the heavy whipping cream for the filling to another mixer bowl and whip on high speed until stiff peaks form, about 5 minutes. 6. Carefully fold the whipped cream into mascarpone mixture by first folding about 1/3 of the whipped cream into the mascarpone mixture. 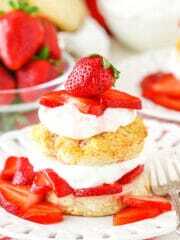 Carefully fold the remaining whipped cream into the mascarpone mixture. Set mixture in the fridge until ready to use. 1. Combine the mascarpone cheese, powdered sugar and kahlua and mix on low speed until combined and smooth. Do not over mix the mascarpone cheese. When mascarpone cheese is over mixed, it can start to separate. Set frosting in the fridge until ready to use. 1. 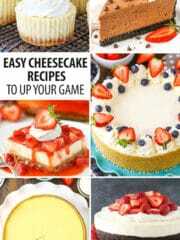 Remove the domes from the tops of the cakes with a large serrated knife. 2. Combine the ingredients for the espresso mixture. 3. Place the first cake layer on a serving place or cardboard cake circle. 4. Drizzle 4-5 tablespoons of espresso mixture over the cake layer. 5. Pipe a dam around with outside of the cake with the mascarpone frosting. 6. Fill in the center of the dam with about 1/3 of the tiramisu filling, then spread into an even layer. 7. Top the filling with the second layer of cake, then repeat steps 4-6. 8. Top the cake with the final layer of cake, then drizzle another 4-5 tablespoons on top of the cake layer. 9. 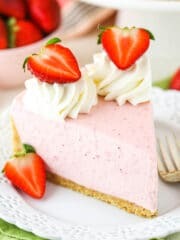 Add a crumb coat to the sides of the cake with the mascarpone frosting, then full frost the outside of the cake, leaving the top bare. 10. Pipe a border around the top edge of the cake with the remaining frosting. 11. 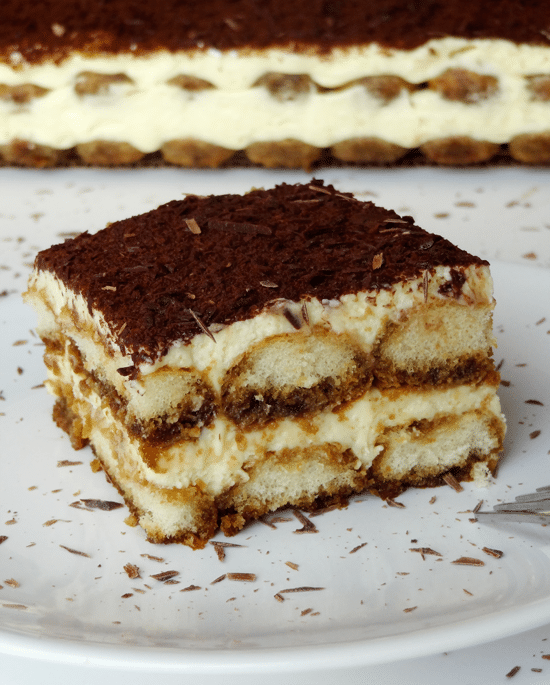 Fill in the border with the remaining 1/3 of the tiramisu filling. 12. 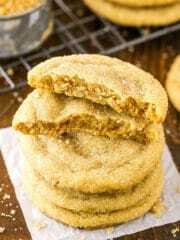 Sprinkle a little cocoa onto the top of the cake, if desired, then press the cookie sticks onto the sides. The cake should be refrigerated until ready to be served. Cake is best for 3-4 days. *I used 1 1/2 containers of cookie sticks for the whole cake. *THUD* <——That was me, passing out at the site of this cake. SWOOOOOON!!! Oh man you always impress me with your flavor combinations…and beautiful decorating of course :)!! 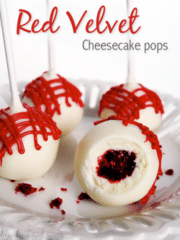 Love the cookie sticks on the side! 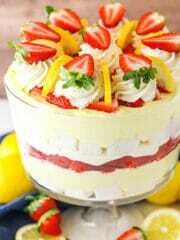 This is a very delicious and may be alluring cake to attract others. I like it too much. OMG girl, this looks incredible!!!!! 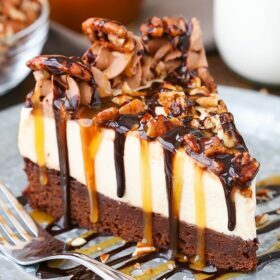 This is so epic and amazing, but your desserts ALWAYS are! 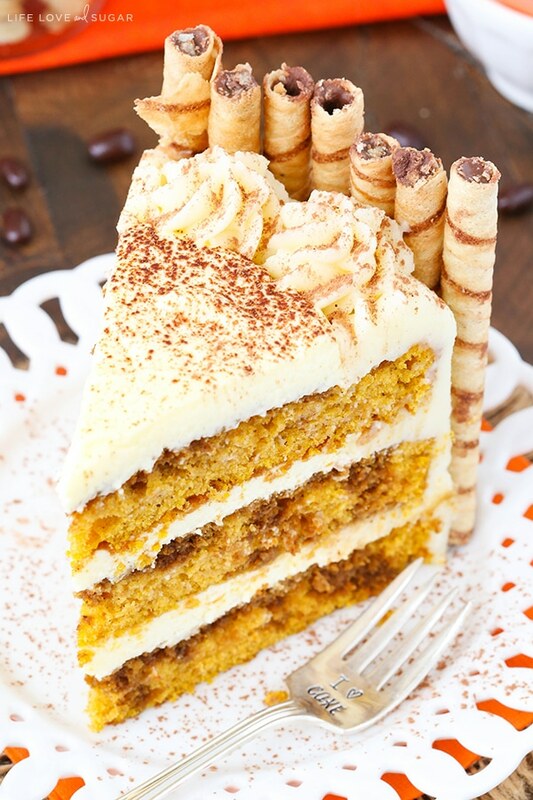 I love the combo here of pumpkin and tiramisu. So original, yet, of course they belong together and this should’ve happened even sooner!!! Lol. This cake is a stunner! Oh my goodness! This cake looks amazing!! I’m so excited to start making all things pumpkin!! Yum!! I love when you add videos! They are so helpful! Quick question, do you have a designated spot on your website to view all the videos you have uploaded? Thanks a bunch!! Thanks Brittany! I’m glad you’ve liked the videos. 🙂 I don’t have a spot for all the videos, but that’s a great idea! What could i use if I didn’t want to use the Kahlua? Just use additional water and espresso. 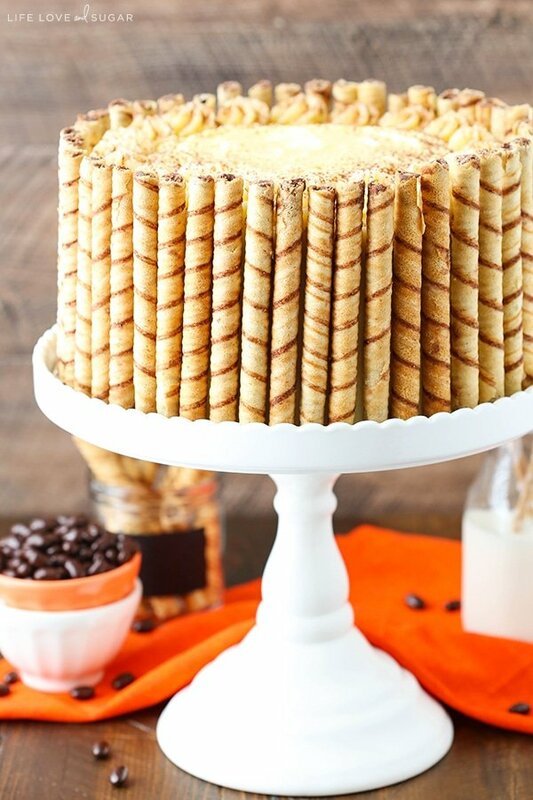 I love the outside of the cake and how it is lined with the cookie sticks! 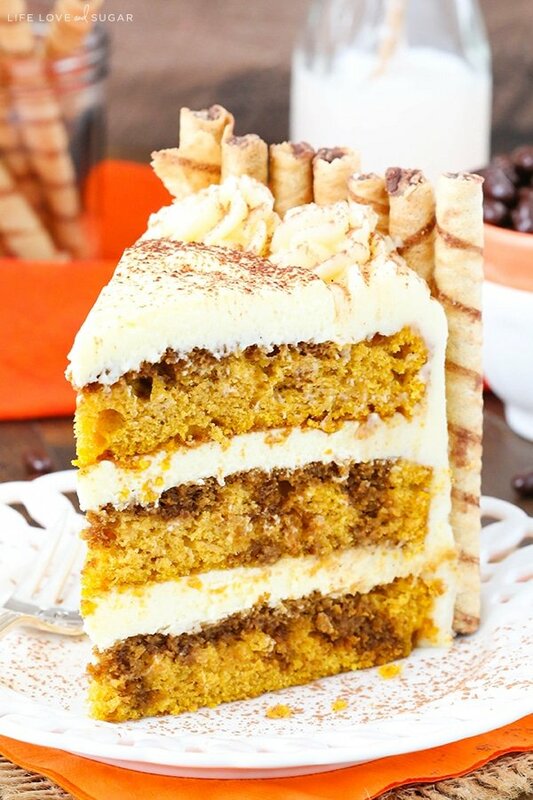 And the combination of pumpkin and tiramisu is incredible! Hi Lindsay! it looks awesome! I really need to try this for my birthday this weekend! 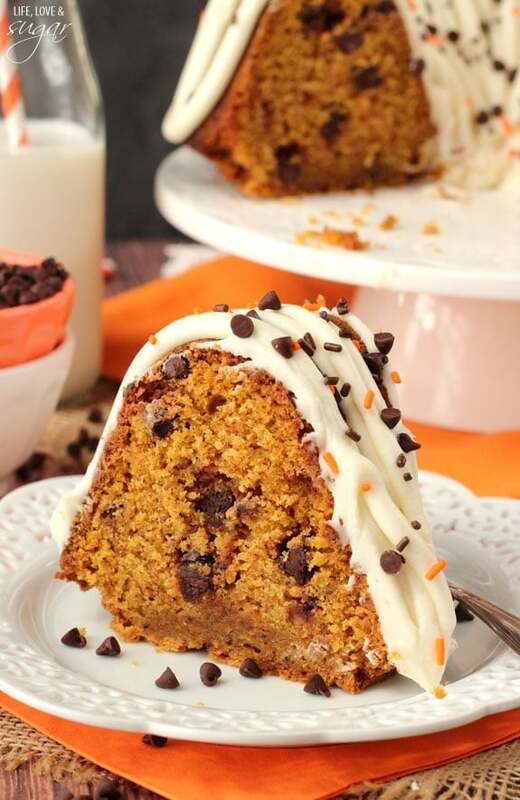 I have a couple of questions: how do you make the pumpkin puree? I guess you can boil it and then blend it without any water? And the other is about the softened mascarpone, how do you softened it? do you warm it? I buy canned pumpkin – much easier. 🙂 For the mascarpone, I just let it sit out on the counter for 30 minutes or so. I’ve been watching the videos in a trance. You have done such a great job showing how to make them look beautiful, and this one just looks fantastic! Thanks for sharing your talents! 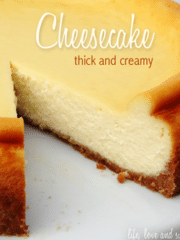 We’ll be having the first cheesecake we’ve made from the cookbook tomorrow. I made this cake today and I’m sure it will be absolutely delicious but mine didn’t look like yours AT ALL. Of course, you’re an expert and I’m not, but I have a couple of questions: first, my marscapone frosting was completely soft. How did you get yours so stiff? Was I supposed to drain the marscapone before using it? Or is there a certain brand of marscapone that is firmer than others? I ended up having to add cream cheese just to stiffen it up a bit because I didn’t want to add more sugar; it was already sweet enough. Second my layers weren’t nearly as high as yours. Do you have any idea why yours would have risen so much more than mine? Could it be my baking soda or baking powder wasn’t fresh enough? I’m stumped! Anyway, I love your blog and always look forward to your new creations! Hi Andrea! Mascarpone can be a bit tricky. A couple possibilities. One is that it’s very susceptible to over-mixing. When it’s over mixed (too much mixing or at high speed), it seems to break it down and it’s gets very thin and can be hard to firm it up again in the fridge. The other thing, is you want to use it when it’s soft enough to mix, but not let it get too warm. That can also break it down. I hope that helps! 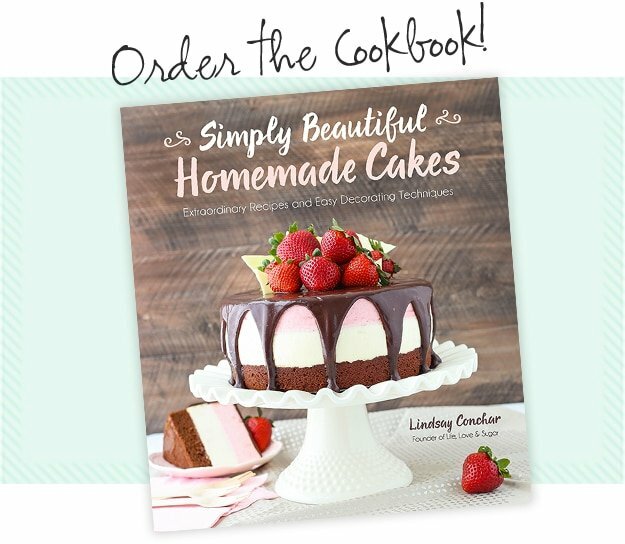 As far as the cake layers not seeming as high – the most likely culprit is not fully creaming the butter and sugar. You really want to be sure it’s mixed for at least 2-3 minutes, if not 3-4. You’ll actually see the color and texture of the mixture change. I finally figured out why my layers were not as high! I used 9″ pans. Didn’t even occur to me to use 8″and I completely glossed over that part of your directions! Doh! What tip did you use to pipe the dam? I typically use a large round tip, the Ateco 808 specifically. I made this cake. A couple of problems arose. The filling was quite runny. I didn’t over beat the mascarpone. The whipped cream was folded in. 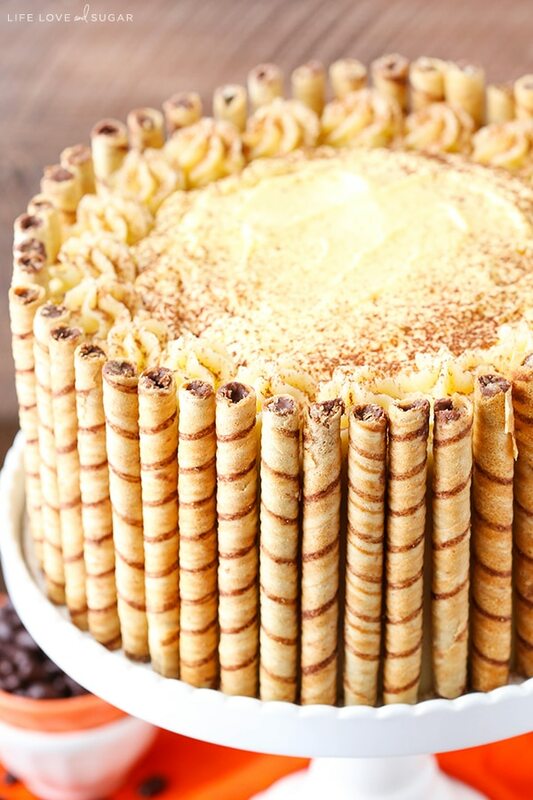 Even with the frosting wall on each layer, the layers would slip around. I had to put dowels to help prevent. Then the frosting would not thicken, even after refrigeration. It was more like a very thick glaze. I had to add more powdered sugar to get it to pipe. This made the frosting way to sweet. Can you help me? I did follow the instructions exactly. Also, I do a lot of baking. It was a challenge. I’m thinking of trying a different frosting. I’m so sorry you had trouble. If the frosting wouldn’t thicken with refrigeration, it sounds like the mascarpone cheese was giving you the issue – that’s exactly what happens is it won’t thicken. If you think it wasn’t over-mixed, it’s possible it got too warm. You want it to be cool enough to mix and work with but you don’t want it to get too warm. It can be a little fussy.